Another expansion adding even more depth to the game. 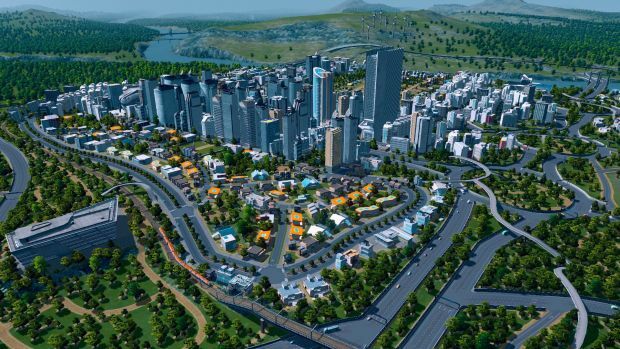 The next expansion for Cities: Skylines, Mass Transit, will be launching on May 18, Colossal Order has confirmed. The expansion, which adds even more nuance and depth to the game’s already extensive public transit simulation systems, adds new transit vehicles and options, new accompanying mass transit buildings to go along with them, mass transit hubs, new scenarios, new landmarks, and new road types. There will also be a free update for the game released alongside the expansion, which adds traffic management and public transit budget options. Both are due to launch on May 18 simultaneously. For now, both are planned for the PC, Mac, and Linux versions of the game- as of right now, it is unclear f the Xbox One version of the game will be getting these, too. There is also a new trailer for the expansion that released today, which you can check out for yourself below. Stay tuned to GamingBolt for more updates.